We wanted something more like this. Look how classy that is. In an effort to address this grave oversight, and take advantage of our first guests of the new year (Jen, Olin ’12, and her friend Natalie), we decided to have a proper dinner while they were staying with us. We started by planning our menu in what could be considered a slightly haphazard manner. After settling on four courses (cheese, salad, entree, and dessert) we came up with a list of needed supplies. With our (digital) list of groceries in hand (on phone) Jen, Natalie, and I made our way to Pike’s Place Market. 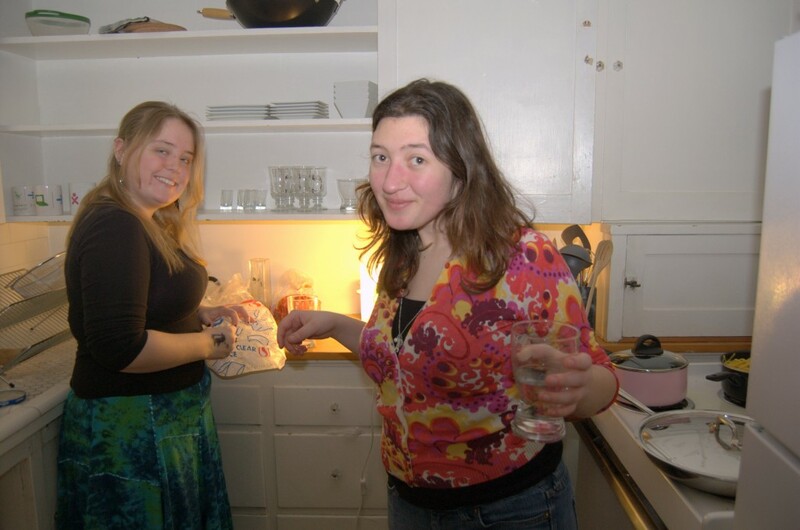 Once everyone had reconvened at Leon’s Flat with foodstuffs, we hit the kitchen! Ellen and Jen on kitchen duty. In an effort to balance the fact that I normally cook, and a separate but related effort to cope with our small kitchen, Ellen ended up preparing both our salad and entree. Jen, who is both a fantastic cook and trained bartender*, supervised Ellen’s endeavors and concocted delicious drinks for the over-21s. 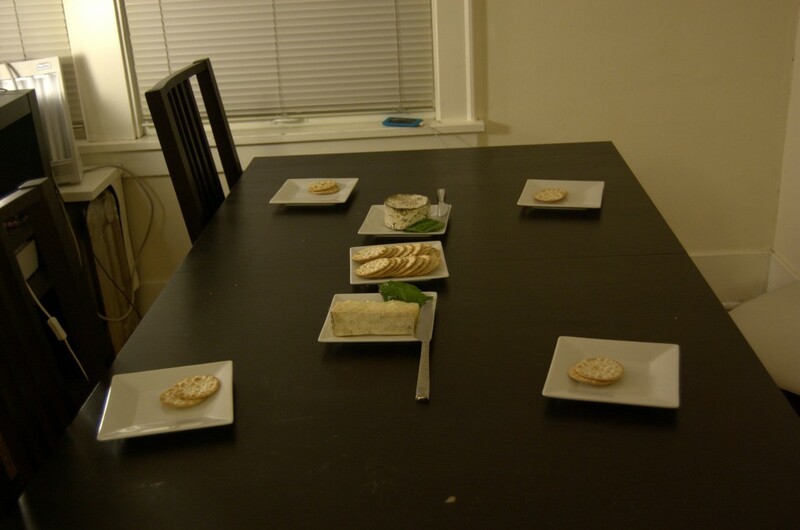 In the meantime Natalie and I cleaned up our dining room table, set up our cheese course, and documented. Pretty soon it was time to sit down and enjoy the fruits of our labors. We were too busy eating to document. 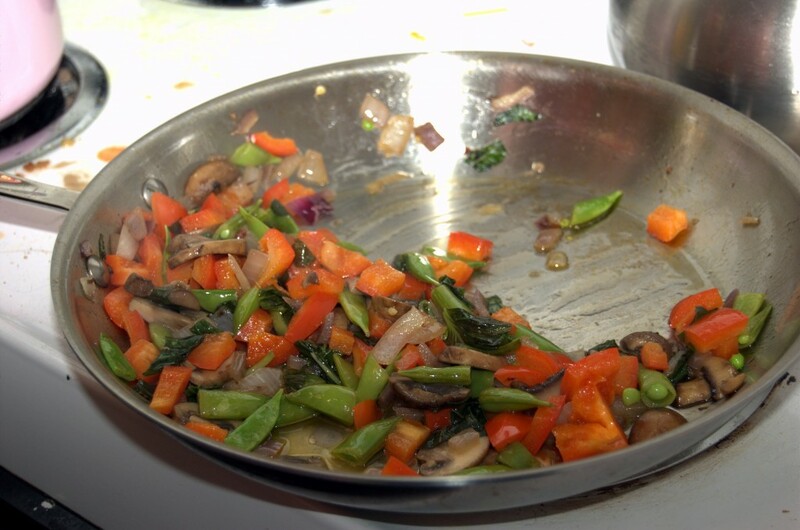 Here's a picture of sauteed vegetables from our pasta instead. Jen and Natalie even made dessert for us! Baked pear with chocolate, wrapped in puff pastry. Pictures don't do it justice. While it was a lot of work to put together, making a proper multi-course dinner and sharing it with friends ended up being a fantastic experience. The entire endeavor ended up being an extremely social experience that brought the four of us together and gave us a lot more to talk about during our meal. A key part of the experience was preparing the meal with the people we were eating with; even if not everyone was cooking, the shared experience of getting food ready, standing around the kitchen, and plating dishes pushed it beyond just eating food. Overall, this is definitely something that I would do again. 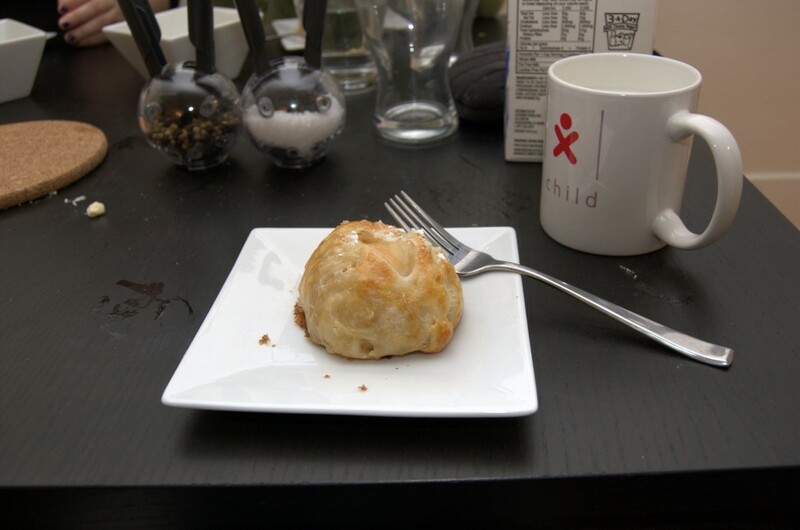 This entry was posted in project52 and tagged cooking, food, one new thing, project52. Bookmark the permalink. Why don’t we teach a love of reading? 3. Why give away $100 a month? 2. Why is math optional?